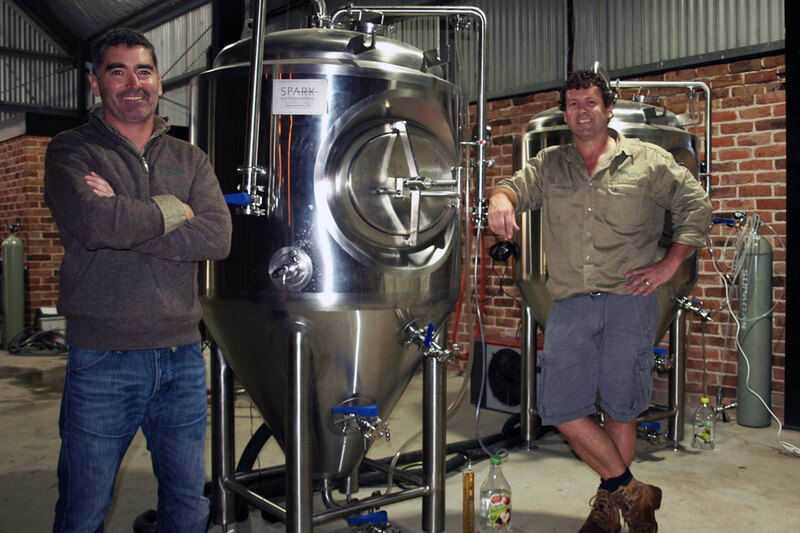 When The Crafty Pint last caught up with Southern Highlands Brewing, Ben Twomey and Cameron James had just started brewing in a small barn in Sutton Forest. Since then, the brewery has hit some rather larger milestones. For one, in November last year, the Southern Highlands Taphouse opened, giving them a home for their beers in Moss Vale, about five minutes down the road from the brewery. Secondly, and rather quietly, the pair had been growing their own hops and, as of last month, released a fresh hopped beer to the public. Like the brewery itself, those hops are a part of their Sutton Forest farm, with Chinook, Cascade, Saaz, Perle and Goldings rhizomes all planted in the past couple of years. Of them, it’s the Chinook that's done particularly well to date, so much so that Ben and Cameron loaded it as the primary hop into an "autumnal golden ale" to showcase what they were growing locally. 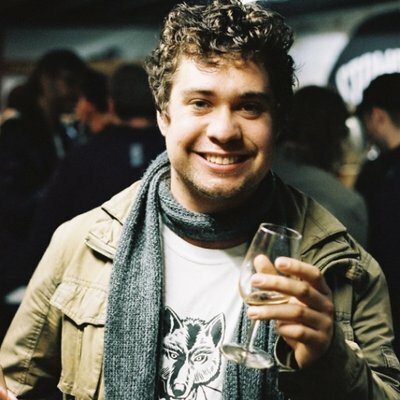 Ben says that, while brewing with fresh hops for the first time commercially had its challenges, the popularity of the beer, and the well developed flavours they've achieved with their Sutton Forest Hop Harvest beer, made it worthwhile. Ben Twomey, left, and Cameron James in the early days of their brewery. 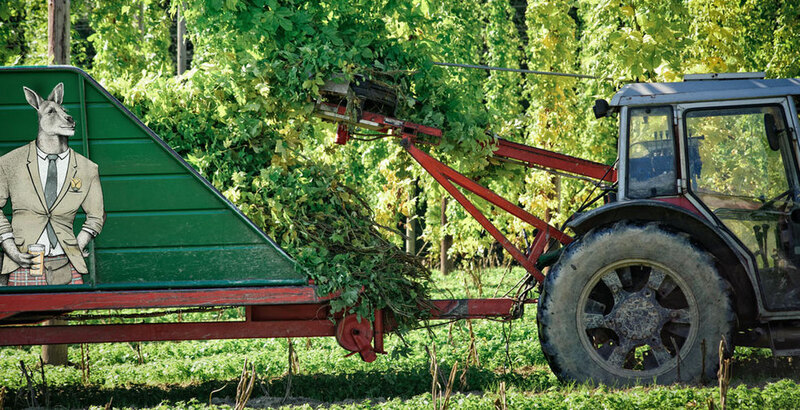 The vast majority of Australia's hops are grown in two regions of the country, the Victorian High Country and parts of Tasmania, with the plant notoriously picky about its climatic requirements and conditions. But, as breweries start up in more regional areas, so too does the desire to bring the concept of paddock to pint with them. The hope at Southern Highlands had been to grow barley for use in their brewery too, to add an extra layer of local provenance to their beer a little like Tasmania's Van Dieman and Two Metre Tall, WA's Rocky Ridge or fellow NSW operations Pioneer Brewing, but were unable to achieve the desired results. But, with their successful hop crop, their corner of Australia joins a growing number of others now home to small hop growing operations, including those we've written about elsewhere in southern New South Wales, parts of Victoria, South Australia and Western Australia. Ben says their two harvests to date have been promising, but he doesn't assume hop farming will necessarily take off in his neck of the woods. Although climate and sunlight are both important for a hop grower to succeed, Ben suggests the biggest barrier to entry where they're based is the cost of land. As a rural area relatively close to Wollongong, Sydney and Canberra, he says the region has long been popular for those seeking a tree change, contributing to the subsequent rising cost of real estate. Despite that, it’s another side to the brewing industry Ben and Cameron are keen to showcase, with the pair already considering what the hops can do for local beer tourism. And, if they get to the Taphouse before it's gone, they can check out the fresh hopped golden ale those hops helped create too. The Southern Highlands Taphouse is at 490-494 Argyle Street, Moss Vale.